The Shantala Bathing pail is a baby bath with a difference. The shape of the Shantala baby bath allows your baby to be immersed in the warm water right up to their shoulders. Τhe warm water and curled position gives a feeling of being back in the womb helping your baby feel happy and relaxed. The baby sits in it in a fetal position, the water covers more of the baby's body - no more 'startle' effect when you put them in the water. As the baby is supported you have two hands free for bathing. 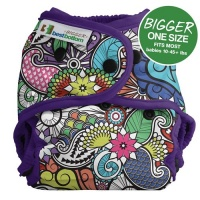 And the water stays warm for longer while your baby happily splashes you! Your baby's feet will find reassuring support from around the bottom of the Shantala bath and they will be able to maintain eye contact making sure that they never become frightened. Because it takes less water to fill it is easier to manoeuvre and takes up less space, its better for the environment and because of its shape the water stays warm for longer. In their Shantala Baby Bath, newborns are softly positioned as they used to be in their mum's womb so they feel reassured, happy and relaxed. They can choose the position they like best and are not compelled to lie flat as they would in an ordinary baby bath. Babies have no fear of sinking. 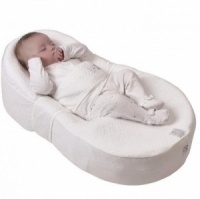 Their little feet always find a reassuring support all round the bottom of the Shantala Baby Bath. There is no risk of baby catching a cold when bathing in their Shantala Baby Bath as they are completely surrounded with gentle warm water. Avoids painful back-ache while bathing baby. Allows better eye contact with the baby. Saves water and energy because the small amount of water needed remains at the ideal temperature much longer. Easier to fill up and empty and to carry when full of water. Allows better hold of the baby. Our baby bath arrived in record time, it was so easy to order through the website... we just need our LO to arrive to test it out! I have used this bath since my little man was just out of the hospital - and he still uses it now at 1 1/2. He really enjoys sitting up in it and it has always felt very safe even when he was tiny, as he is supported and in an upright position. Would definitely recommend. 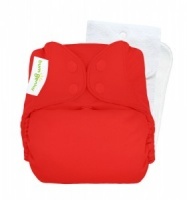 Great product definitly better than bathing your baby in a bath as bending down after a c section can be quite awkward! 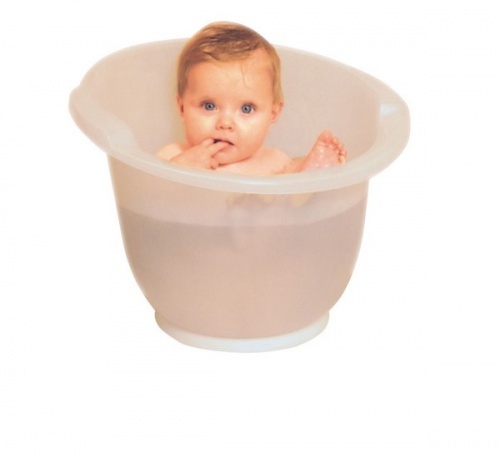 Bathing baby in the kitchen/bathroom means cold steel/enamel under baby while the Shantala bath is warmer plastic and covers baby up to shoulders in nice warm water. Saves on water as well and the small size o f the tub ensures you can bath the baby almost anywhere, as long as the surface is flat. The only reason I did not give this 5 stars is because as baby grows it will be more difficult to clean bum area. But apart from that ... perfect.